Post these visits, head back to your hotel for a sumptuous breakfast. The other half of the day is meant to cover other attractions of Darjeeling. Under this, you would be visiting the Padmaja Naidu Himalayan Zoological Park, Himalayan Mountaineering Institute, Tibetan Refugee Self Help Center (closed on Sunday), Tea Garden and Ropeway. After a journey of 1 hr and 40 mins, you would be arriving at Kalimpong. 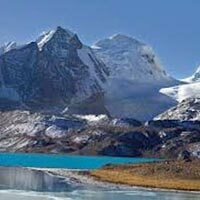 As you arrive, you would be quickly heading to a sightseeing tour of Kalimpong. Under this, you would be visiting Deolo hill, Teesta valley, Pine View Point, Orchid, Golf Club and Dr Graham’s Homes School. Besides these attractions, our tour representative will also make you visit the scared Durpin hill and Durpin monastery, which is around 5 km from the main town of Kalimpong. After this, call it a day and make a check in to a pre-booked hotel for an overnight stay. Other attractions that you will be surely visiting in Pelling including Kecheopalri lake and Rimbi rock garden which lies in close vicinity of the majestic falls. Also visit Sinsore Bridge –Asia's 2nd Highest Bridge, Post all the sightseeing, return to the town of Pelling and make a check in to the hotel for an overnight stay. Day 5 of our exclusive tour is dedicated to tasting the flavors of the Himalayan town of Gangtok. Nestled in the Shivalik hills of the Himalayas, close to the Buddhist country of Bhutan, Gangtok is blessed with a mystical blend of natural beauty and Buddhism. Owing to this, Gangtok is dotted with several Buddhist monasteries that are believed to be quite ancient. Drive from Pelling to Gangtok is roughly going to take 2 hrs and 30 mins and as you arrive in Gangtok, you would be embarked on a sightseeing trip. Sightseeing in Gangtok includes the very famous Rumtek monastery, which is also the largest of its kind in the state. Serving as the an important seat of the Karmapa Lama, the monastery holds a lot of significance for the religion of Buddhism. It enshrines a golden Stupa that has relics of the ancient Karmapa in the form of statues and paintings. Make a visit here and shed all your travel tiredness in the spiritual ambience of the monastery. After Rumtek, you would be taken to Do Drul Chorten Stupa, which is one of the biggest in Sikkim. Encircled by Chorten Lhakhang and Guru Lhakhang, it boasts of two huge statues of Guru Rinpoche. Being situated in the Himalayan topography, Gangtok has various natural attractions which are filled with mystical beauty and serenity. One of them is the breathtaking Tsomgo lake which offers one of the most beautiful sights in the region. The lake is nestled at an altitude of 12,400 ft and the drive from Gangtok to it is likely to take around 1 hour to reach. 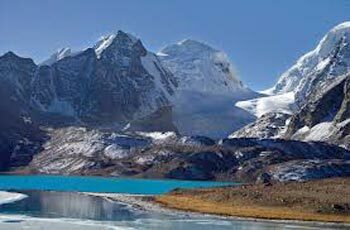 Tsomgo or Changu lake is actually a glacial lake, which derives its waters from the snow capped mountains it get surrounded by. The lake is also a home of Brahmin ducks and migratory birds. Being a prominent tourist place, the banks of the lake have shops selling trinkets and Yak cheese. So you can buy some for yourself. The locals also provide for yak rides so you can have a nice time exploring the breathtaking surroundings sitting on the back of a yak. Admire the beauty of the lake and pay a visit to the Lord Shiva temple, which is located on the banks of Tsomgo Lake. We can also visit Nathu La Pass, which is the border of India and China.